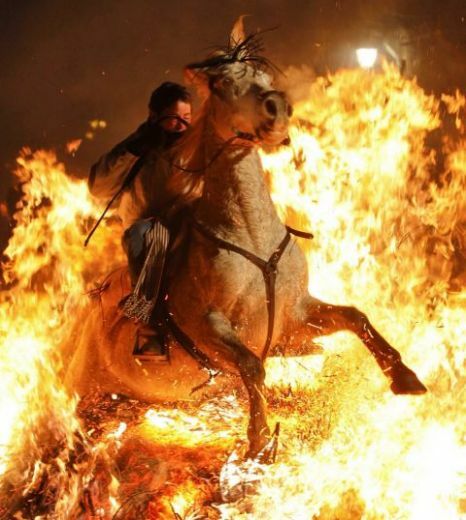 Every year the village of San Bartolome de Pinares, about 100km from Madrid, Spain, holds the Luminarias Festival in honor of Saint Anthony Abad, the patron Saint of domestic animals. 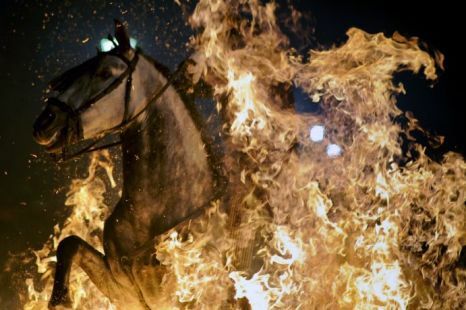 As part of the festival, which is held on the eve of Saint Anthony's Day in January, horses are ridden leaping through flames. Although it is claimed that the animals are never harmed, animal welfare groups are not exactly fans of the practice. Plagiarism? There's Am App For That! Three Wise Men, Mary, Joseph, and WTF?